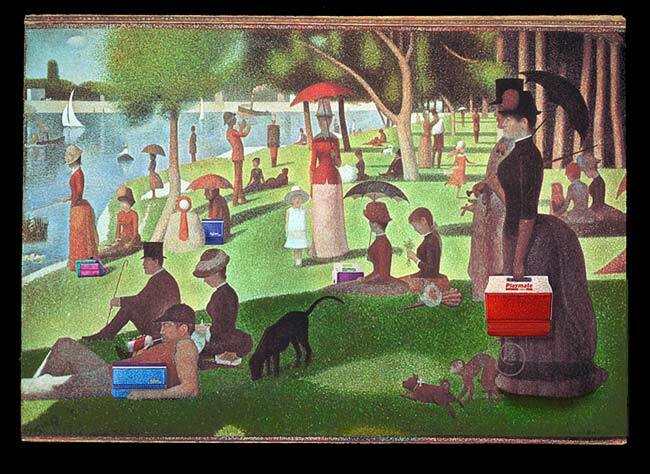 A spread from the Igloo sales catalog used Seurat’s “La Grande Jatte” for its source. We started with a medium-format chrome that unfortunately was dark in the forground. I changed out several props with Igloo products and removed some people from the busy scene. I replaced the foreground with a more saturated scan.